After working hard for months with almost no other break other than the gym, food, and sleep and sitting in front of the computer all day, I needed a change of scenery so badly. I made a booking of 4 nights in Marmaris and 3 nights in Bodrum. The hotels were in central locations, so I could discover the beauty in the surrounding area and see if I can live there all year- winter and summer. This was in early May of 2016 and the temps were around 30 to 35 degrees in both Bodrum and Marmaris. I thought this could also be an opportunity for going sunbathing and swimming. And there is the obvious fact that the room rates are much lower than the peak summer months. When you’re traveling by yourself like I often do, you usually need to pay the full room rate for two people on your own or 20 to 30 percent less. So you’re not sharing the cost with another person but you have the advantage of having the room to yourself. As you occupy the room anyway, this is not a plus or minus to the hotel except for the meals eaten by one person rather than two people. And in some rare cases, you can pay half the price of the full room rate. You need to research well on different websites to find those deals. Since I have a foreign passport as well as Turkish, I tend to have access to the special rates offered to the non-Turk nationals. I used Booking.com for my hotel booking in Marmaris. It was a total of four nights at the 3-star boutique hotel Supreme. This has been on the news and social media lately, it is no longer possible to book Turkish hotels from Turkey because of the way the website creates an unfair competition to local travel agents. It is the largest hotel booking website for Turks and others in Turkey and people tend to get great rates. But if you’re traveling from outside Turkey this is not the case for you and there are many other websites and travel agents to book your holidays with anyway. This is just one of those weird things that are happening in Turkey lately. I do not have a lot of detail but these websites only bring healthy competition to the market by helping people book their hotels at much more reasonable rates. Paypal also stopped operations in Turkey some time ago, again due to some local court case. Again that is a website that is a great help for both the online merchants and consumers worldwide and makes things much easier for people in need of payment method for online and overseas transactions. I get the feeling this protectionism is a result of the current conservative government’s policies. Let’s get back to my holiday in Marmaris and Bodrum, after a little rant over Booking.com and Paypal. I bought a cheap return flight ticket to something like 120 liras, only five days in advance. It was by Turkish Airlines to Dalaman Airport and back from Bodrum Milas Airport by Pegasus. As I’ve already mentioned and you would also be aware if you go on holidays outside of the peak season- one or two months before and after, you will often get much better prices for both your hotel accommodation and flights. So I flew to Dalaman for Marmaris from Istanbul Sabiha Gökçen early in the morning. As the plane was descending towards Dalaman Airport, the mountains, lakes, the bays and the sea looked amazing. It was so beautiful that it felt like a dream. Mugla province is probably my favorite part of Turkey. We arrived at Dalaman on time and there weren’t many people inside the terminal. This is a much older airport than many other local airports in Turkey, so it looks a little older too and slightly run down. I don’t know what it’s like these days, but it was old back then. I took the Havas bus from Dalaman Airport to Marmaris and we got there in about 1.5 hours through some beautiful winding roads, enjoying the scenery. This service still costs 15 liras at the time of this post and takes you to the Marmaris Bus Terminal just outside the city center. The main reasons why Marmaris is not growing (in a bad way) as much as the other Turkish resorts are that the nearest airport is 1.5 hours away. 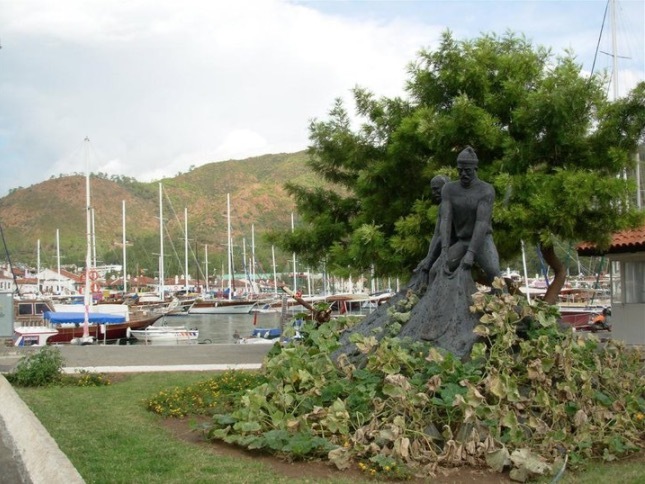 And Marmaris is located roughly 35km off the main highway that connects Fethiye, Dalaman, and Bodrum. 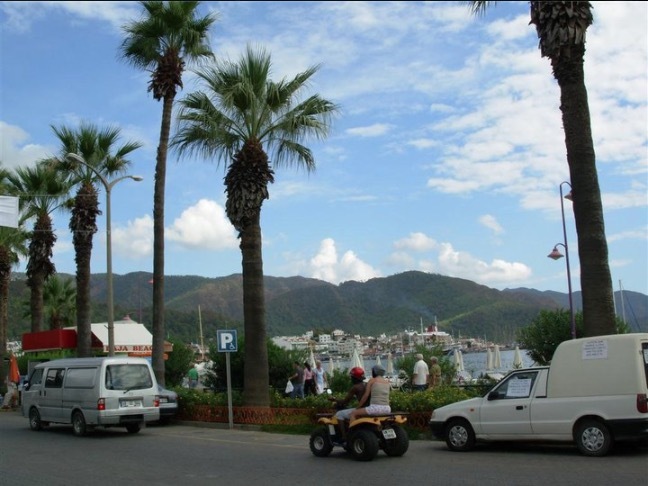 But as you’re driving down the hill towards the town center, Marmaris welcomes you like a fairytale town. You will not find the architecture of some of the European destinations, but there is still that Muğla and Marmaris architectural style I like. If you’ve visited other cities in Turkey, this is often not the case. Although Turkey is a stunning destination, architecture is not its strongest point. Local governments and builders often have no concerns of beautification and the towns and cities grow a bit ugly. The not so pretty buildings I’m referring to mostly come from the 80s and 90s, but nowadays they often look better. 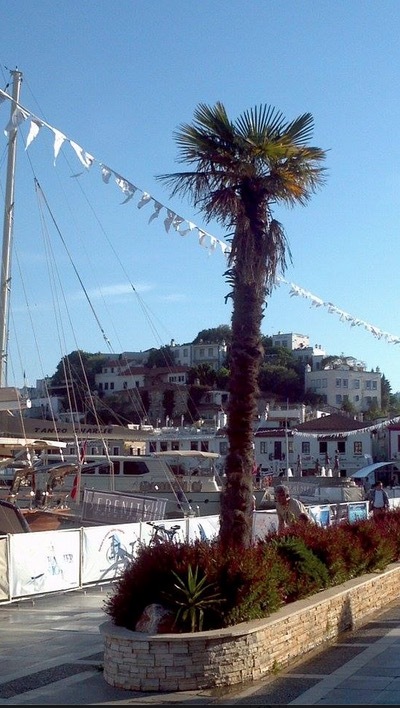 The majority of the Marmaris buildings have three to four levels and this palm-tree like appearance. The balconies are large and they look wider at the top, and there are lots of pine and palm trees on the streets. Around one-third of the people in Havaş bus from Dalaman were going to Datça (pronounced Dacia). 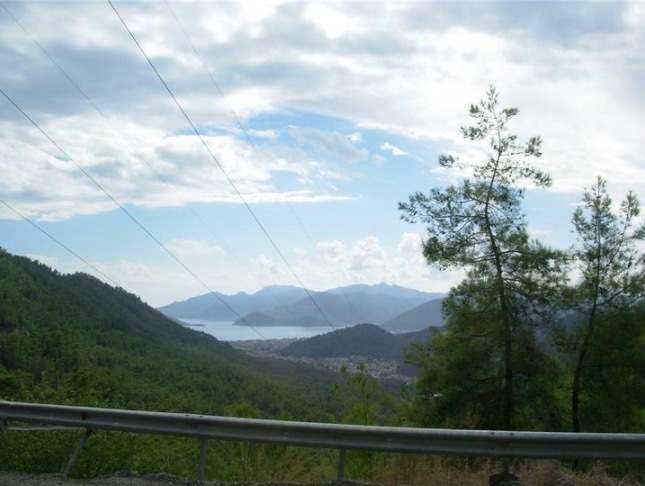 There is no direct bus transfer for Datça from the airport and you need to get to Marmaris and change to another minibus here.Datça is supposed to be quite beautiful too, in an unspoiled way, without the ugly concrete. Datça Peninsula looks a lot like Bodrum Peninsula in terms of landscape and the town is often referred to as “what Bodrum used to be”. 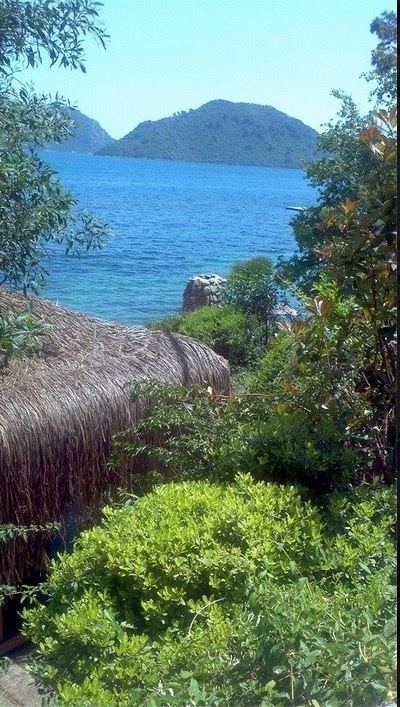 In other words, Datça is even more isolated than Marmaris and that will be the main reason it is such an unspoiled and untouched destination that is very popular with the locals- Turks. 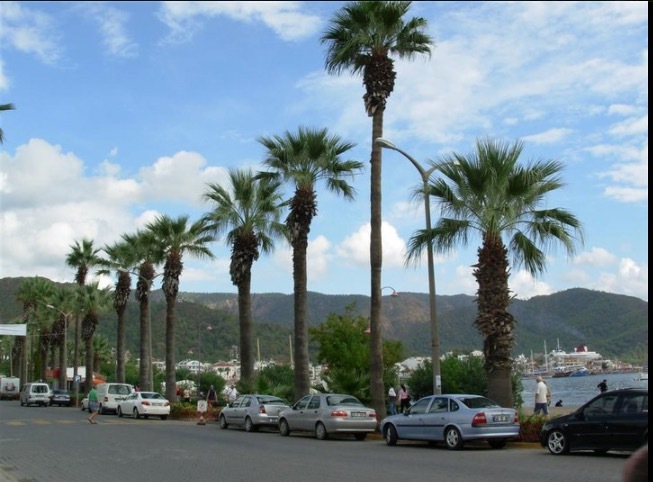 Marmaris is surrounded by hills and dense pine trees and some suburbs are located all the way up to the skirts of the hills. And that is where the city ends and so they can not build more. So the crazy Turkish type construction thing can not really happen here. Well, we can only hope :). 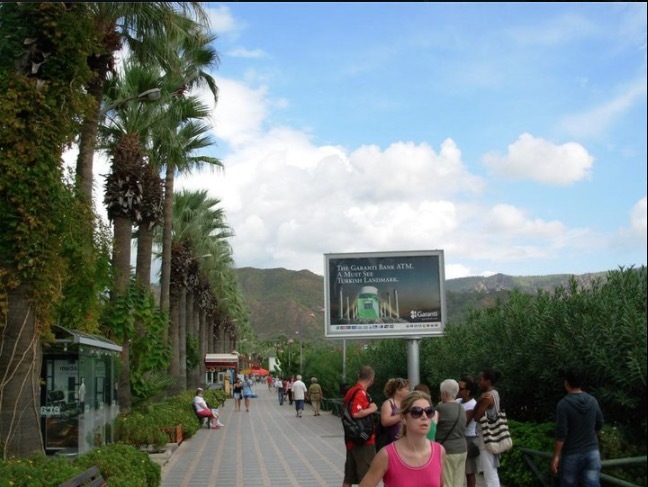 I got on my way from the small Marmaris bus terminal to the Supreme Hotel in Hatipirimi District. It was quite warm already in the morning, about 17 degrees more than what we had in Istanbul the day before. I arrived at the hotel at about 10 am and was very tired as I didn’t get enough sleep because of my early morning flight. The room was not ready and waited just for half an hour or so but I was happy to wait longer for a nice large room with a better view. This is a major advantage of traveling off-peak, (other than the cheaper hotel and flight rates and more bearable weather). It is much easier for me to get a better, quieter and larger room, at the top floor or wherever there is a nicer view, simply because there aren’t many customers in the hotel. Then I went upstairs as the room was ready. The air con was also extra for this property but the nice receptionist girl gave the air con access card to me free of charge. The room was really nice and spacious, it was actually like a small 1+1 apartment with a terrace at the front. This certainly was like a 4-star hotel room- in terms of both size and quality. After resting in the room for a few hours, I got out and walked around the area near the hotel and along the promenade towards the main town center. 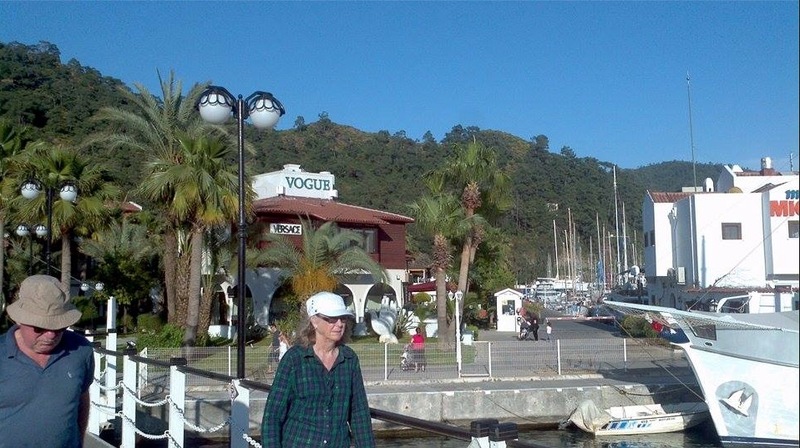 I had a look at the large tour boats along the beach for the half-day and full day tours, to see where I could go during my following three days in Marmaris. We’re in Turkey so everyone is super friendly and there will always be shop or boat owners saying hi and trying to sell you their tours. They are mostly harmless :). Just say “No, thanks” if you’re not interested and they will not bother you. This is the topic of constant debate on different Turkish, Greek and other travel forums and I won’t say much here and will definitely not be patriotic. I went to some of the Greek Islands, like Samos, Mykonos, Paros, Santorini, and Corfu. Don’t get me wrong, Marmaris is a very beautiful town and with lots to see and do around it, and has very pretty surroundings. It has to be in one of Turkey’s nicest locations and the British and Russian tourists who visited Marmaris tend to say very nice things about it in forums, about how they’ve had a great time and enjoyed themselves. But when they take the ferry and go over to Greek islands like Rhodes and Symi, they often find that Greece and Turkey are quite different. Turkey is more of an Asian country and Greece is more European. And things cost much more in Rhodes than Marmaris, due to Euro and Lira exchange rate. And the majority of the tourists come here from Western countries, so it would depend whether they want to holiday somewhere different or be in an environment they are familiar with. Greece will be much more like home for a European person than Turkish coast. 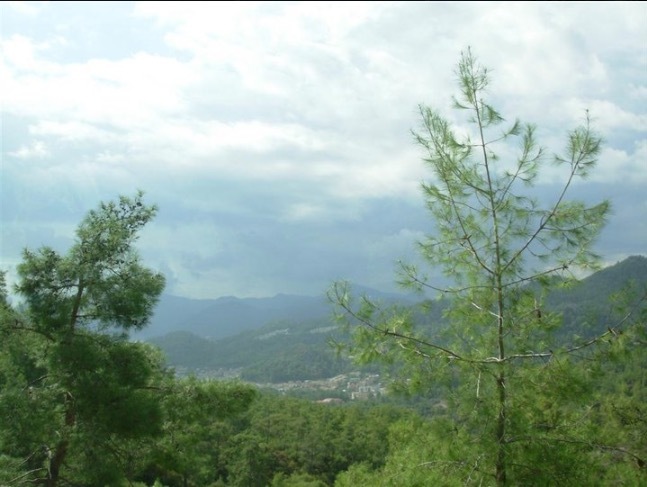 But Marmaris and Turkish coast, in general, are much greener than many Greek Isles. Greece has the advantage of better architecture and perhaps a bit more class, just at higher prices. They are both very beautiful countries after all, but Greece probably attracts wealthier tourists that spend more, rather than those that tend to stay in all inclusive resorts in Turkey. Having said that, it really is hard to beat Turkey for any country in terms of value for money, the superior quality of hotels, great food and hospitable people, extraordinary landscapes and obviously at much more affordable prices. I’d be curious to see what the demand would be if Turkey cost more. And all of this- Turkey and Greece comparison will be a topic of another long post. But please feel free to share any of your opinions below. 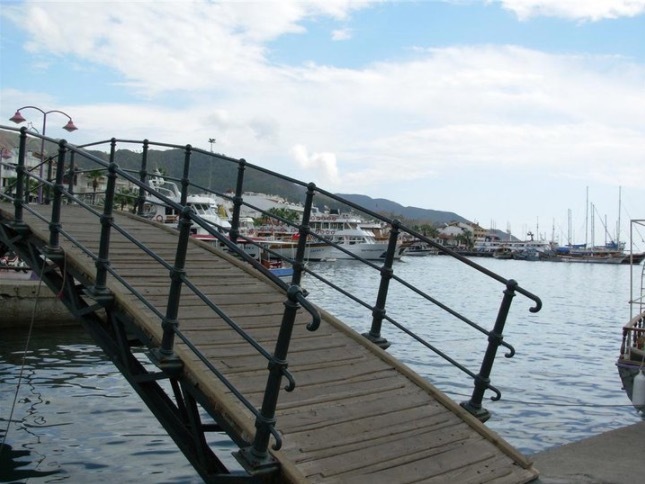 What’s the Marmaris Town Center Like? I walked quite a bit on the beach, and please know that Marmaris is not as small it may look on Google maps, it is quite big and there are miles of beaches. In the Old Town, you will find very nice buildings, shops, cafes, restaurants, massive yachts, and boats in the marina. And it even has a “Grand Bazaar”, obviously not as big as the one in Istanbul. Overall Marmaris looked very nice and the weather was also quite pleasant. From what I hear and read, summers can be quite hot and humid in Marmaris, and this I can tell from how it is in early May. It seems to get a lot of rain in the rest of the year as you can tell from how green it looks, a bit like the Black Sea region of Turkey, only a lot more modern here. Bodrum is also quite warm but that is mostly dry heat because of the location of the peninsula and how it is open to winds and different sub-climates, whereas Marmaris is surrounded by tall mountains, as spectacular as the setting is. The beach in Marmaris is fine but you don’t have the clear waters of some of the other Turkish resorts, and the color of the sand is a little darker, but it still is a nice beach. The beaches are probably nicer in Bodrum, which is also a classier and more expensive town that attracts the well-off Turks and even some world billionaires and celebrities in places like Göktürkbükü. Marmaris doesn’t have that, it is more down to earth. Having said that, Marmaris feels like a tropical island as compared to Bodrum in general, which would be like Tunisia or Mykonos in comparison. And there are a few resorts near Marmaris with better beaches and clearer waters, such as Turunç, parts of Akyaka, Hisarönü, Selimiye, and some bays and beaches in the Gulf of Gökova, including Cleopatra Island which you’ll see when you go on a boat tour. According to people that live here, Marmaris is not as happening a place in winter- or outside summer as the other main resorts of Turkey, like Bodrum and Kusadasi and most activities would be around the main town center. So it will depend on whether you want to be in a happening or calm place. 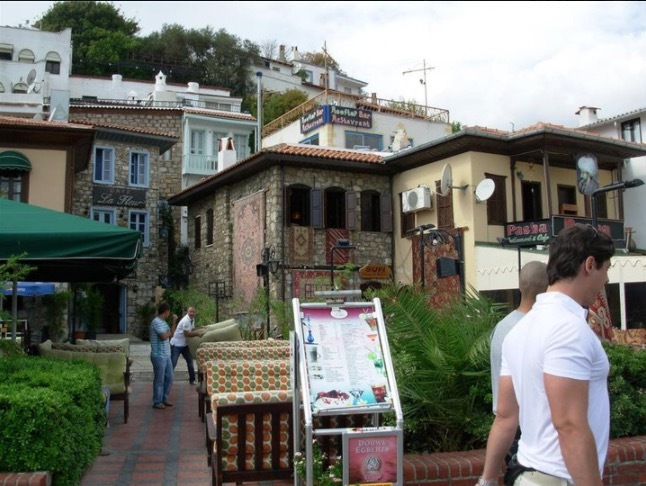 Previous story What’s Kusadasi Like?